Grace has what one might call a 'full and interesting life' which is code for not married and has no kids. Her life is the envy of her friends, who assume she doesn't want the trappings of married life. But all this time she has been waiting in secret for someone to hit her so ha... read full description below. Grace has what one might call a 'full and interesting life' which is code for not married and has no kids. Her life is the envy of her friends, who assume she doesn't want the trappings of married life. But all this time she has been waiting in secret for someone to hit her so hard that she would run out of breath, like the way a wave in a rough sea knocks you over... When Grace meets a beautiful woman at a party, she falls suddenly and desperately in love. At the same party, lawyer Annie meets the man of her dreams - the only man she's ever met whose table manners are up to her mother's standards. 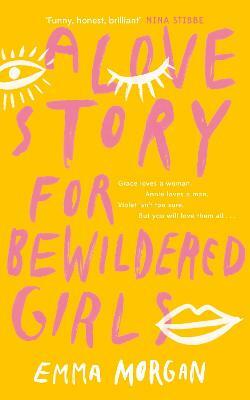 And across the city, Violet, who is mostly afraid of everything, is making another discovery of her own: that for the first time in her life she's falling in love with a woman. A Love Story for Bewildered Girls is a hilarious and heart-warming tale of female friendship and first love in all its guises.